Join us for the public opening of ‘Piero Manzoni. Materials of His Time’, the first exhibition with the gallery and the first in Los Angeles in over 20 years devoted to the seminal figure of postwar Italian art and progenitor of Conceptualism. Curated by Rosalia Pasqualino di Marineo, director of the Piero Manzoni Foundation in Milan, this exhibition focuses on Manzoni’s revolutionary approach to unconventional materials through the works he dubbed ‘Achromes’ – paintings without color. Over 70 Achromes will be on view, comprised of such materials as sewn cloth, cotton balls, fiberglass, synthetic and natural fur, straw, cobalt chloride, polystyrene, stones, and more. The exhibition situates Manzoni as a peer of such artists as Lucio Fontana and Yves Klein, whose ‘experiments’ continue to influence artmaking today. 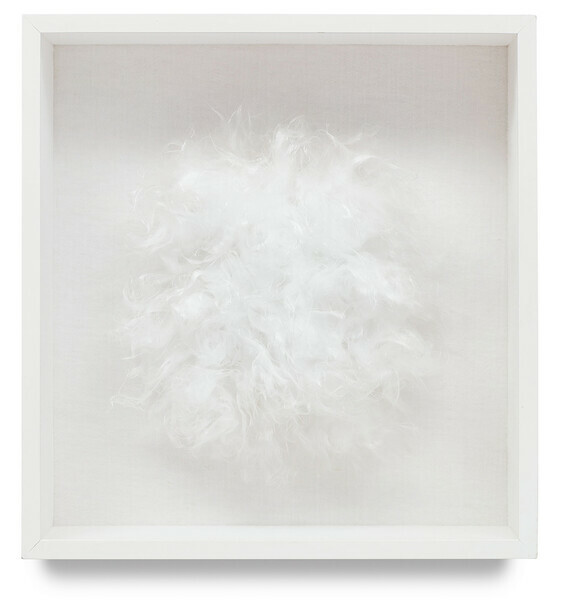 ‘Materials of His Time’ will also present, for the first time, the items on a wish list Manzoni outlined in a 1961 letter to his friend Henk Peeters: a room all in white fur, and another coated in fluorescent paint, totally immersing the visitor in white light.